You have set your e-commerce store, filled it with high-quality products, and implemented the perfect marketing to attract more customers. But still, your cart abandonment rates won’t get any lower. You know how frustrating it can be to have your customer – whom you’ve worked so hard to attract – abandoning in the last minute a shopping cart full of items. Lots of reasons can make the customer walk out from your website without completing the purchase. 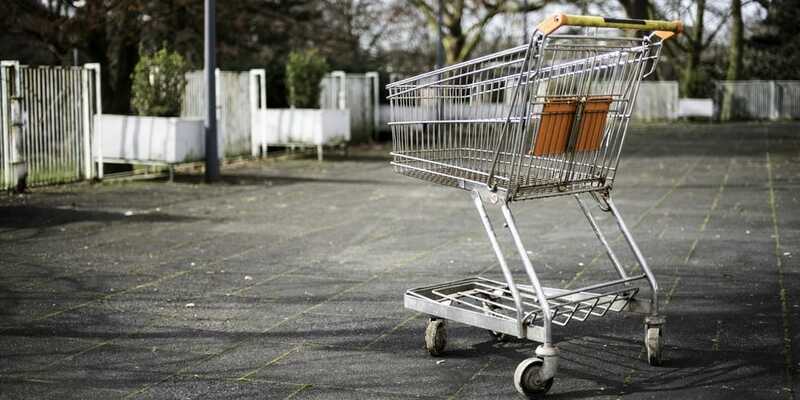 And that’s exactly what I’ll talk about in this article: the main mistakes that can be contributing to the high cart abandonment rates in your store. Since the whole buying process – from the moment a customer chooses a product to the moment they hit the “pay” button – is not instantaneous, there are several reasons that can make a customer give up a purchase. Here are the biggest errors that make cart abandonment happen. A seamless site navigation is essential in ecommerce, and you cannot let anything be on the way of your customer completing a purchase. So, if the consumer faces a problem on each page (such as 404 pages, slow page load time) as they try to move forward, they will most certainly give up purchasing at your store and move on to one of your competitors who doesn’t have the same problem. After all, there’s no shortage of options out there when it comes to ecommerce. How to get around this situation? In order not to fall into the trap of thinking it’s okay, ask 10 people to test your site at different times. Collect the feedbacks and keep an open mind for constructive criticism. Remember that an e-commerce should be the picture of what the customer needs and not what the owner believes to be the best for consumers. If you do a lot of online shopping you probably faced a situation in which after all the time you took to select your desired items when reaching the checkout page you had to fill out an extensive and time-consuming form. Many of the cart drop-offs are associated with a poor checkout experience, and for most people, long forms can be a great motivation for abandoning a shopping cart. Forms should always be very objective, focusing on the information that is really indispensable in order to complete the request. The more unnecessary data you request, the greater the chance of the customer entering the cart abandonment list. So simplify your forms and deploy intuitive fill-in steps. Another good solution is to offer the possibility of social login, or partnering with a payment processor that can integrate with direct-payment alternatives, such as Google Pay. A very usual situation in ecommerce is having the customer navigating in your online store using a cell phone, adding products to the cart using the same device, and trying to finalize the purchase using a desktop. Thus, if you are not considering omnichannel or multichannel solutions, you can ruin their experience and make them give up the purchase. When the customer opens the site on the computer, make sure you have all their previous actions saved in cache. That way, they will see that all the items selected on the mobile are still stored in their shopping cart, making the buying process much more fluid. The price of freight and delivery time are issues that strongly influence cart abandonmen, especially in ecommerce stores that only inform shipping costs and the estimation of delivery times in the last possible minute. In this case, the consumer makes the whole process of selecting the products to, at the time of completing the request, get startled (particularly international customers, for whom shipping costs are usually very high). To avoid compromising the consumer experience or generating frustrated expectations, make all the information available from the first moment. Ever heard of freight costing tools based on the visitor’s zip code or country? Placing this feature on each product page, as well as delivery times, can be a great way out. You can also offer different freight options with differentiated values, that way the choice is left to the customer. I won’t deny that choosing the best payment gateway/processor is a complicated job. But think about the consumer. The more limited the payment options are, greater are the chances of a customer abandoning the shopping cart. That is specially true when it comes to selling internationally, as each nation has their different payment habits. Imagine you have a Brazilian customer that is used to paying for their online purchases with a certain local payment method. You, as global merchant that isn’t located in Brazil, probably don’t offer them the option to pay with this payment option. The result? Frustrated expectation, dissatisfied customer and abandoned cart. Partner with payment gateways/processors that offer multiple payment options and enable integration with your ecommerce store without major problems. Knowing that your customers’ needs are being met and that you don’t have to worry about customers abandoning carts for that reason, you will certainly have more peace of mind – and positive results.